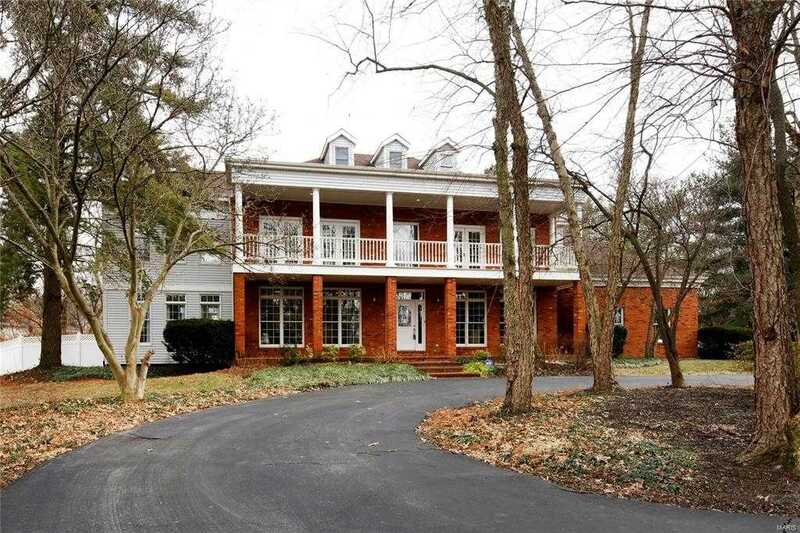 Outstanding five bedroom Frontenac gem in Ladue Schools on a level wooded .89-acre lot with approximately 5,000 square feet of living space on three levels, and backed by the Home Protection Plan. Amenities include a white center island granite kitchen with JennAir stainless cooktop and microwave, a spacious 31′ x 19′ master suite including a sitting room and a marble bath with shower and jet tub. You will enjoy the wood floors, built-in bookcases, four fireplaces, and light filled 17′ x 17′ tiled sunroom with four skylights, and a main floor laundry. The upper level features four bedrooms and three baths. The finished basement has a 31′ x 18′ rec room with wet bar, 17′ x 14′ playroom / office, and a 14′ x 13′ fifth bedroom plus a fourth bathroom with a tiled shower. Notice the three car garage, sprinkler system, zoned HVAC and fenced rear yard. Convenient to highways, shopping and restaurants. Close to public and private schools. Super Value!